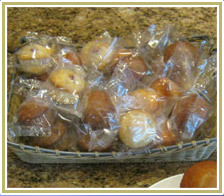 Improve your muffin sales with the finest batters available on the market. 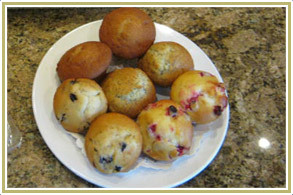 Customers expect their muffins to be nice & moist and tasty. We've been able to achieve this by using only the finest ingredients, eggs, buttermilk, wholesome grains, grade "A" fruits & vegetables, pure chocolate, and no preservatives. 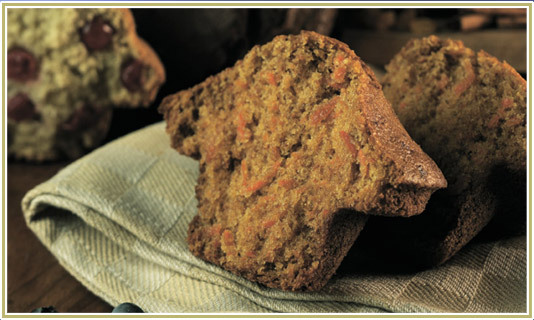 Consistent quality and ease of handling, just scoop and bake, no mixing required. carrot spice, oatmeal appleslice, apple cinnamon, banana dream, blueberry passion, glory raisin bran, breakfast bran, chocolate morsel, double chocolate, harvest corn, california carrot, oatmeal, lemon cranberry, wild zucchini, orange cranberry, lemon poppyseed, carrot nut, dark raisin bran, cornmeal, morning glory, pineapple carrot nut, oatmeal raisin, black forest, pumpkin spice, dark bran, banana nut, orange date dazzle, carrot nut supreme, maple nut, date nut, lynn's pumpkin spice, apple cinnamon, muslex, corn bran, blueberry cranberry, blueberry supreme and universal base. bluberry bran, apple bran, banana, blueberry, carrot, and fruit & fibre. banana strawberry yogurt, peach mango yogurt, raspberry yogurt, butterscotch praline, and toffee apple.